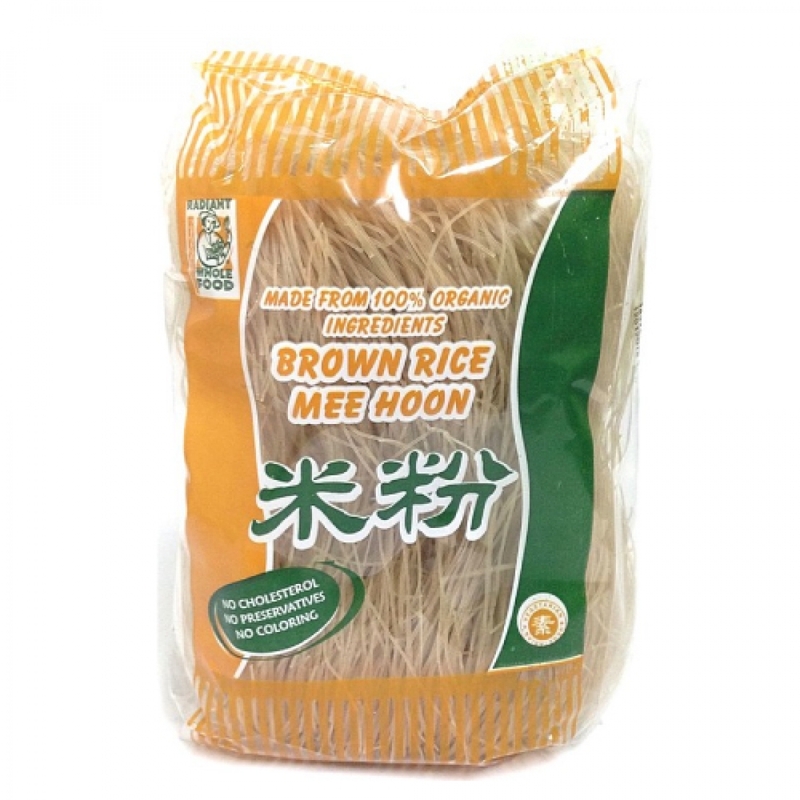 In Radiant Organic Brown Rice Meehoon, the highest quality organic brown rice and traditional processes are used to produce these smooth and filling gluten free meehoon. Less processed than white rice, brown rice retains many health-giving nutrients and contains rich amounts of fiber. Versatile, nutritious, easy to cook wholegrain rice meehoon that add an authentic Oriental touch to any dish. 100% Unpolished brown rice and filtered water. Soak Brown Rice Mee Hoon in cold water to soften it. Drain out the water. It can be ready to be fried or prepared in soup.